If the only way you’ve done small groups or cell groups is with the leader/apprentice model, this little book will revolutionize your small group ministry! The key is moving small group leaders into the role of a point person for a core team of group members. The core team then takes over the leadership of the group. In other words, the information in this pocket book has the potential to eliminate leader burnout. Who doesn’t want to learn how to do that? 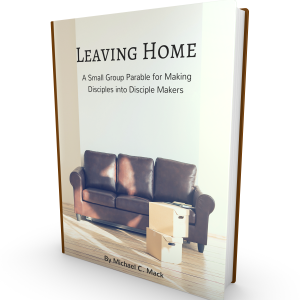 Michael C. Mack has done a splendid job of explaining how Christ is the real leader of a healthy small group, and leading a core team of members to facilitate the meetings, plan and execute missional tasks, and lead the group is much better than attempting to lead alone. The book is small, concise, and excellent for busy leaders who don’t or won’t take the time to read a full-sized or longer book.